In 38 years of tracking water quality issues and reading environmental impact reports (EIRs), Russian River Watershed Protection Committee (RRWPC) recalls only one EIR that surpassed the size, weight and number of volumes of Sonoma County Water Agency’s (SCWA) Fish Habitat Flows and Water rights Project (Fish Flow Project), released on August 19th, 2016. Fish Flow Project (low flow) is about to begin….The long awaited Fish Flow Project Draft Environmental Impact Report (DEIR), will be released Friday, August 19, 2016, and include a 60-day comment period ending on October 17, 2016. Subsequently, staff will respond to comments before a final version is approved. 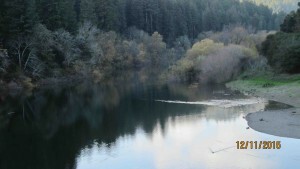 The project proposes to lower Russian River summer flows up to 50% and will be in effect each year between May 15th and October 15th through 2023 and probably extended through 2040.
admin : June 13, 2016 5:51 pm : 2016. State Revving up Recycled Water Use Programs….The State Water Board is now taking comments on their Draft Water Reclamation Requirements for Recycled Water Use. According to the Notice, “The proposed General Order is intended to further encourage recycled water projects by: (1) acknowledging recycled water as a resource through water reclamation requirements; (2) allowing recycled water programs that are implemented in… Regional Water Board boundaries to be permitted by the State Water Board”.